El Rosario is a small village of 400 people cradled high in the mountains of Northern Honduras. These photographs are from a project documenting the community work that US nonprofit, The Children's Initiative, has spearheaded in the village - including access to a high school education, new agricultural projects, and a direct giving program offering structural improvements to the home. Carlos hugs his mother after receiving his high school diploma. For many years, El Rosario had a one-room schoolhouse that provided students with a K-6th grade education. Beyond that, children would need to travel more than an hour away to the city in order to continue their studies. Most children would stop going to school & instead help out at home or begin working at this point. The Children’s Initiative saw a need and built a 7th-12th grade school in the village along with a library. TCI offered full scholarships to all students interested in continuing their schooling. Carlos is one of the 19 members of the village’s first graduating class. Gabriela and Ingris, members of the village’s first graduating class. 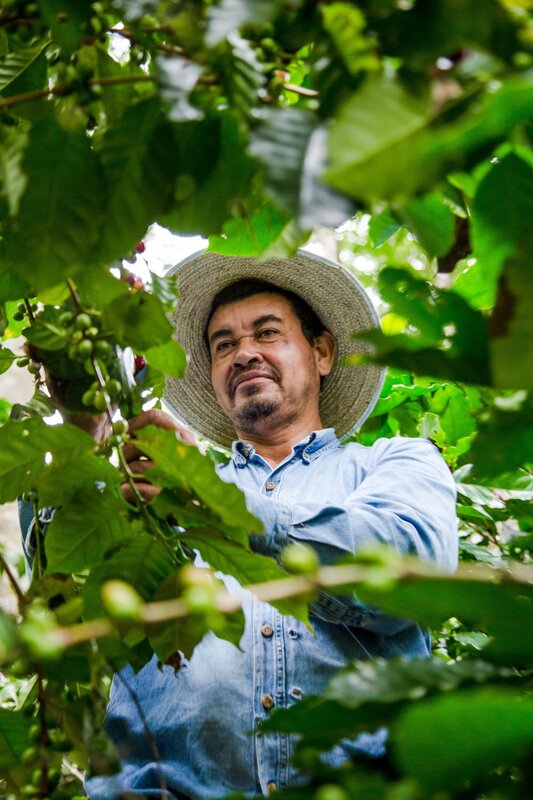 Nelson picks coffee cherries in his village, cradled in the lush Locomapa Valley of the Honduran highlands. His community largely works with the land in the growing of crops such as corn, beans, cocoa, and coffee. The Children's Initiative has planted 5,000 coffee plants as well as mahogany and teak tree seedlings in the fields surrounding the village. Workers are paid by TCI to maintain the fields, and the eventual profits from the sale of these crops will go directly back into the community. Argentina Guzman, 77, is a former teacher in the original primary school of El Rosario. 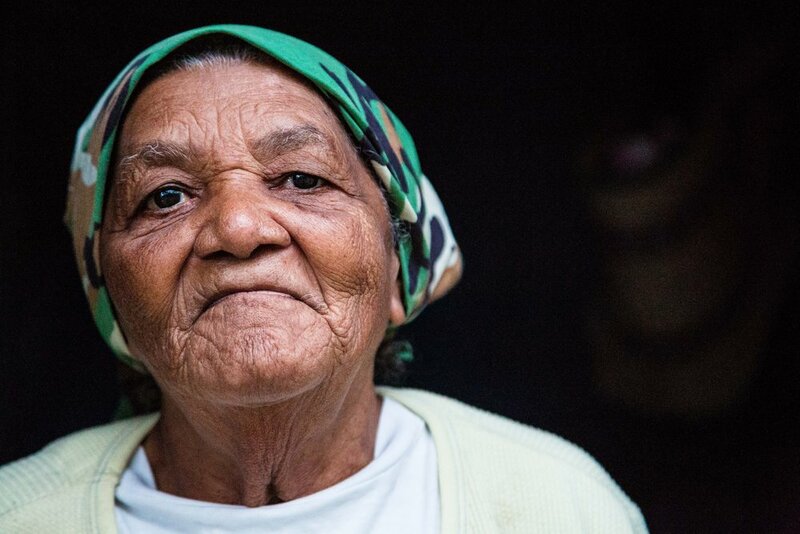 As one of the elders, she can remember a time when the community did not have access to potable water and instead walked to the river to bathe, wash clothes, and collect buckets of water to carry back home. Argentina's family is one of the many who have been supported by The Children's Initiative's Direct Giving Program. This program has given $100 to every household in the community with the intent that the money will be used to improve the quality of life in the home through building flush toilets, outdoor showers and wash basins, cement floors, corrugated roofs, clean stoves, or ventilation. All of the installation work has been volunteered with the understanding that widows, the elderly, and the infirm will have their homes improved with the assistance & support of their neighbors. Argentina's family chose to build an outdoor wash basin, or "pila" with their money from the Direct Giving Program. This pila collects fresh rainwater for drinking, bathing, and washing clothes and dishes and removes the need to collect water from the river. Iris Mejia loves to garden. When she would plant flowers or fruit trees in her yard, they would often be eaten by animals passing by such as cows, pigs, and chickens. 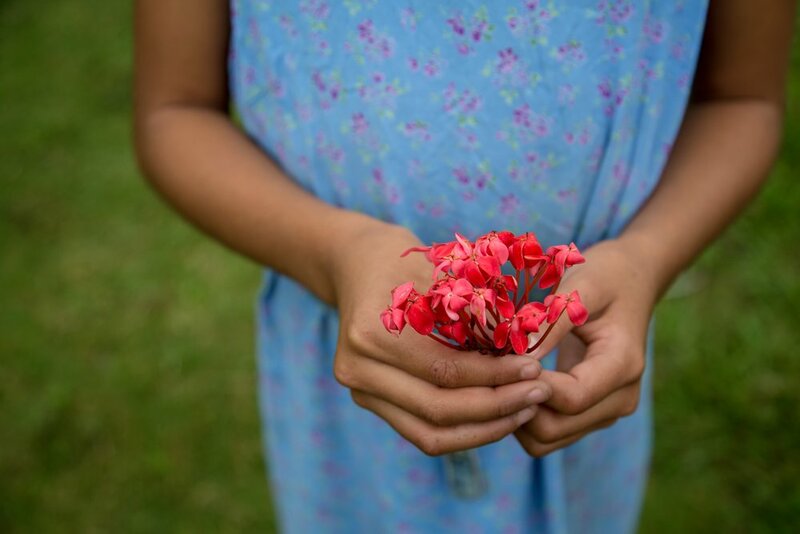 With the assistance she received from TCI's Direct Giving Program, Iris built a fence so that her plants would have the freedom & protection to grow. She now has a phenomenal garden filled with pascuas, bouganvillea, banana plants, avocado, and palm trees. 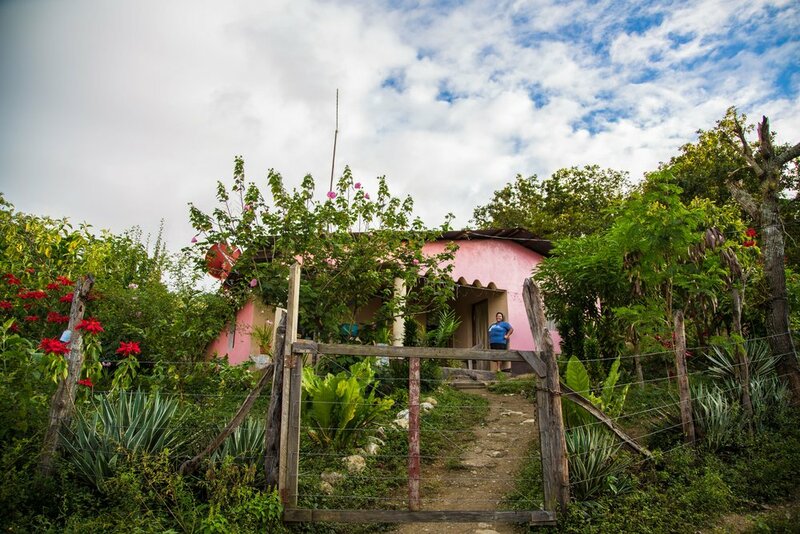 Sandra Isabel Ortiz Cabrera & her family built their home in El Rosario nine years ago. Until now, their floors have been made of soil. 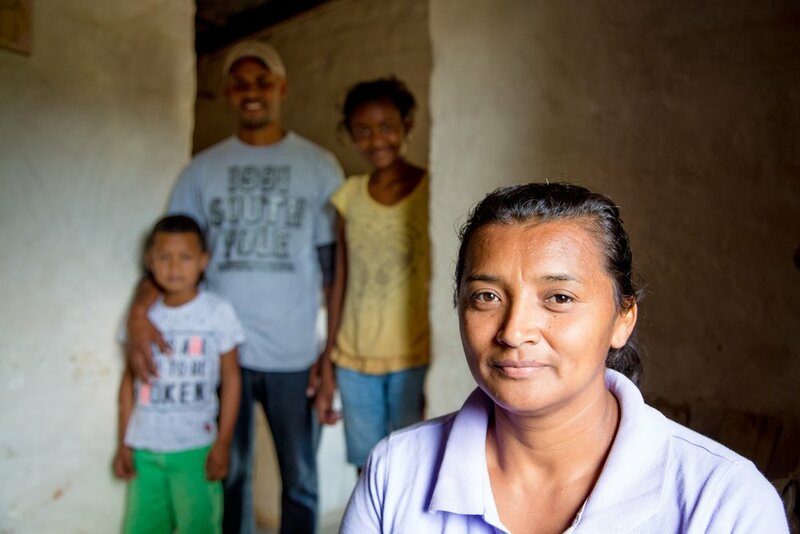 With the assistance that her family received from TCI's Direct Giving Program, the Cabreras put in new cement flooring throughout her entire home. 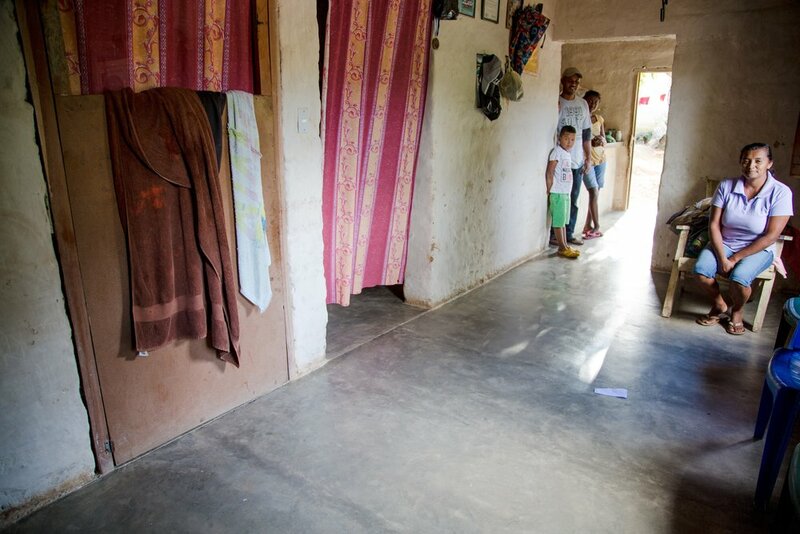 Sandra told me that these floors keep her home cleaner, allow she and her family to breathe better, and allow her children to play easier. When Kara Liliana Chirinos moved into her home five years ago, the walls were all made of adobe. With the assistance that her family received from TCI's Direct Giving Program, Kara remodeled her two bedrooms to have sturdier walls. Kara told me that these new walls are better for her family's health and also improve her home aesthetically. Daisy Lorena Mejia has lived in the same home in El Rosario for 42 years. Over time, her family has grown and now, with children and grandchildren, there are 12 people living together in her home, sharing 2 main rooms and 3 beds. She has long dreamt of putting an addition onto her house to create more space for her family. With the support of TCI's Direct Giving Program she was able to take the first step towards that addition by building a new roof that will eventually cover her expanded home. We landed in Honduras the day after their presidential election was held. Over the course of our stay, the results of the election were ever changing & remained unofficial, with false proclamations of victory, recounts, government enforced curfews, and protesting in the streets. Our time in Honduras was marked by dualities. The two dramatically different & polarizing candidates vying for leadership. The predictability and peace of the village's daily rhythm, next to the vulnerability and political unrest in the cities. The hope & tenacity in the youth and families I photographed, but also the uncertainty of what lies ahead for them in their country. The duality of the landscape during the rainy season -- dark clouds over the mountains leading to deafening rain on tin roofs, but then a break in the sky and sun pouring back through -- once dry fields suddenly refreshed, greener than you can imagine. One of my main motivations in being a photographer is to look at the dualities that we experience, and to connect people to each other, to nature, and to beauty, even in challenging times. I strive to do this kind of work in my own small city of Portland, in small villages like El Rosario, and in all of the communities I visit with my camera in the future.